At first glance you might think this MOC by city son is just a graphic or painting, then you start seeing studs and think it's bricks arranged around a graphic. 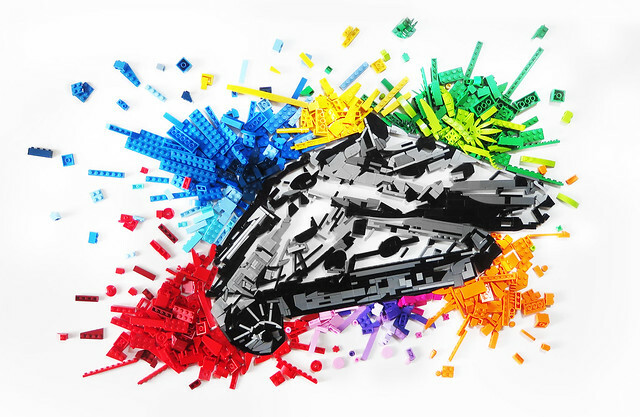 Then you see that the Falcon itself is also bricks and find yourself going "whoaaaa". It's unconventional yes, not so much built as arranged, but it's still LEGO, and it's friggin' awesome.